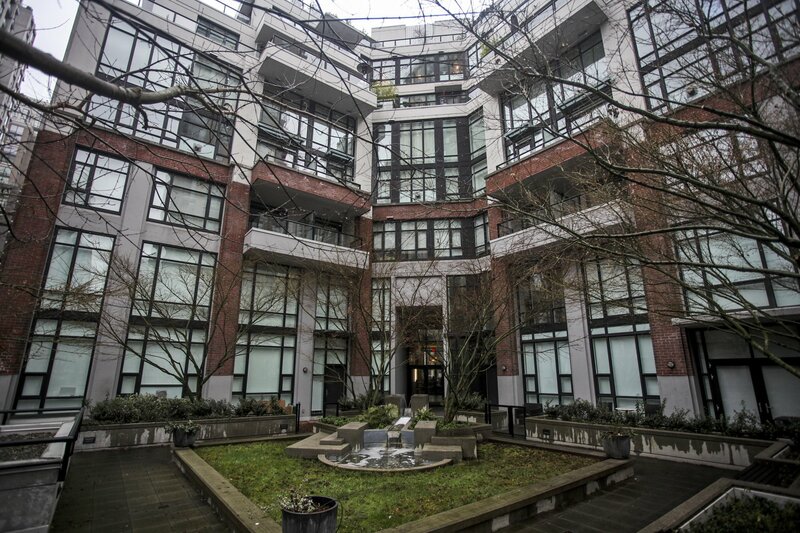 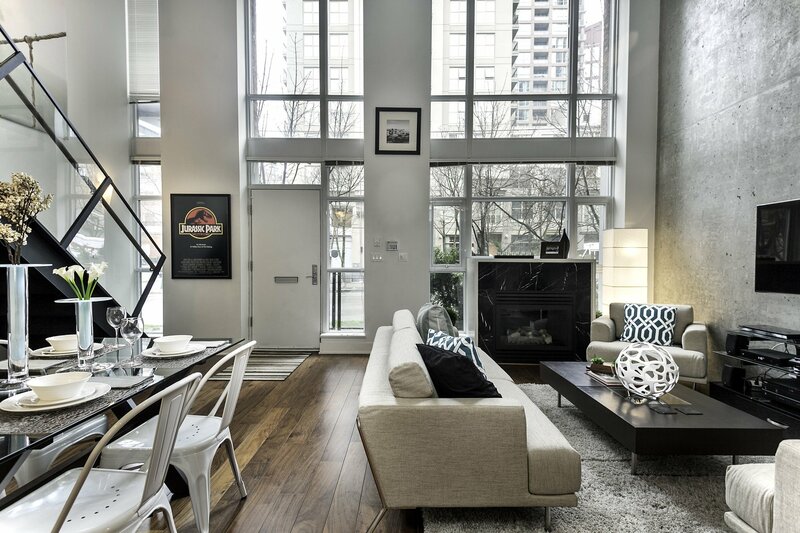 Tribeca lofts is one of Yaletown's more sought after loft building. 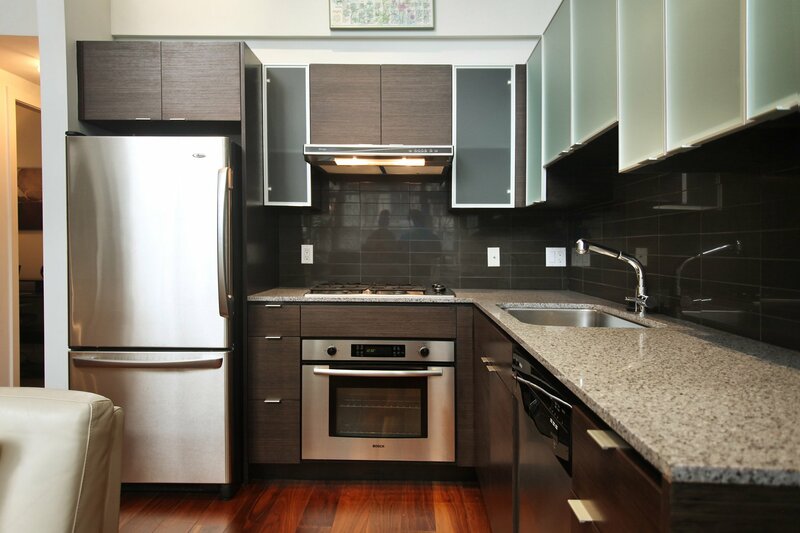 Inspired by the "Tribeca" area of New York this building offers unique designs with high quality finishing and fixtures. 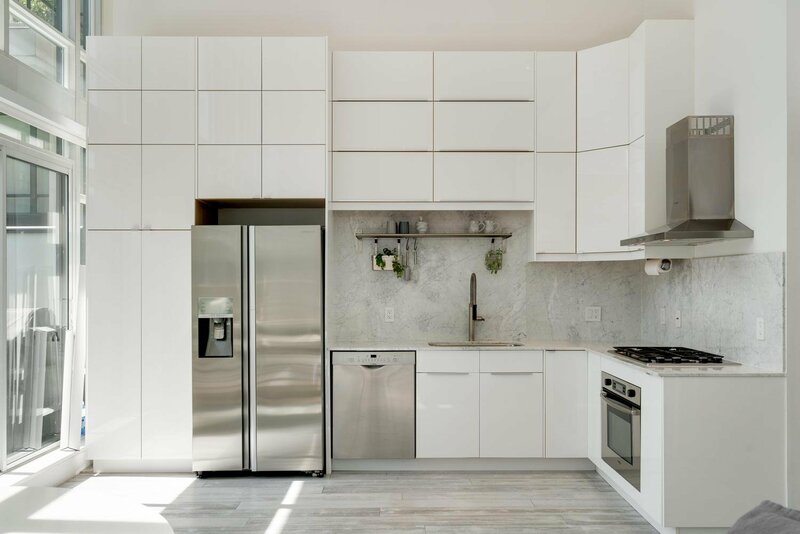 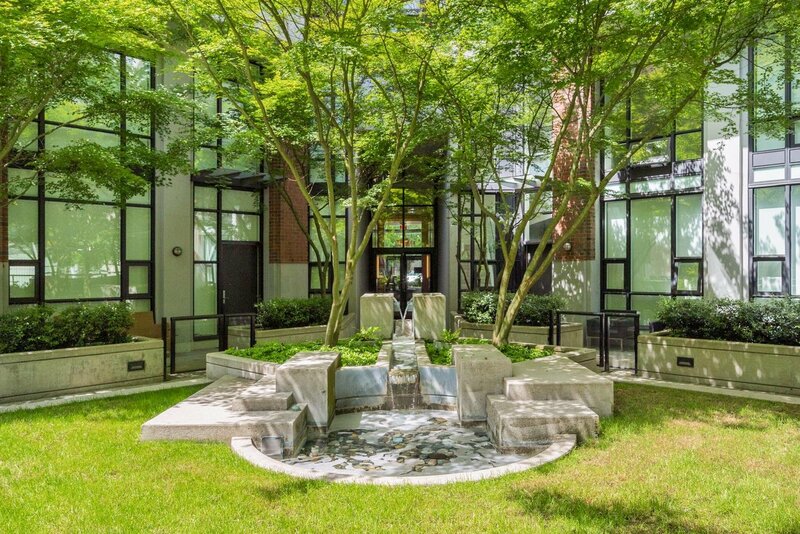 It features 53 high quality condos and lofts with features such as hardwood engineered flooring, Bosch appliances, modern style lighting, and granite countertops and exposed concrete feature walls. 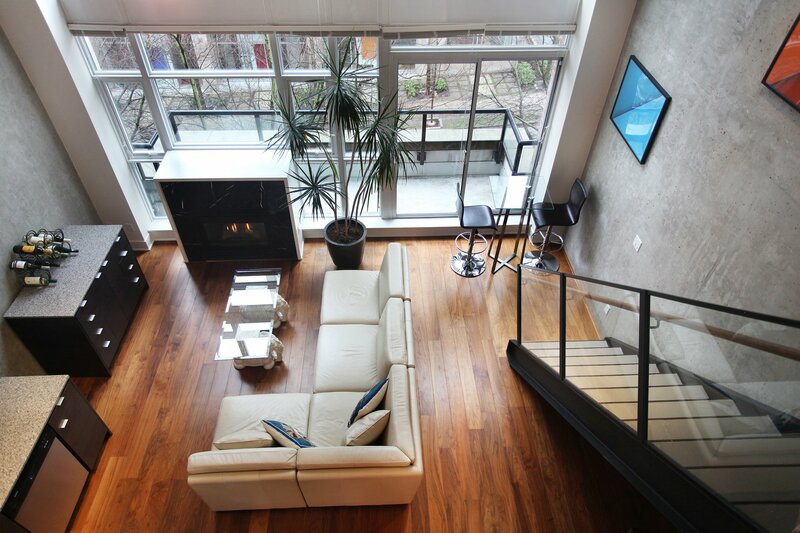 Certain condos and townhouses in the building are two level lofts with high 16'-18' ceilings. 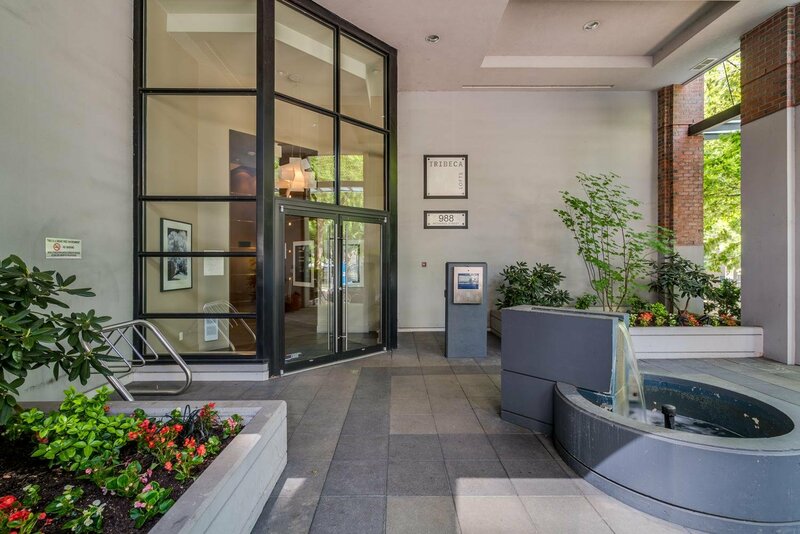 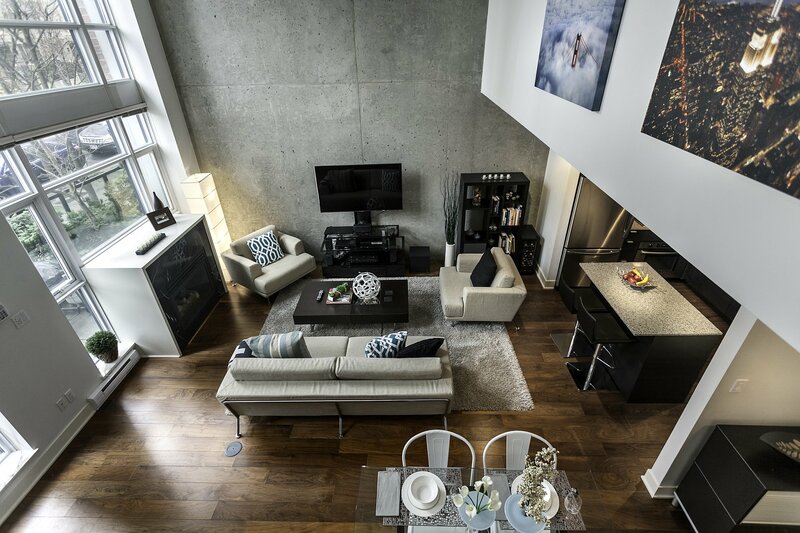 From the lobby to the elevators, Tribeca lofts offers luxury with a classic modern touch. 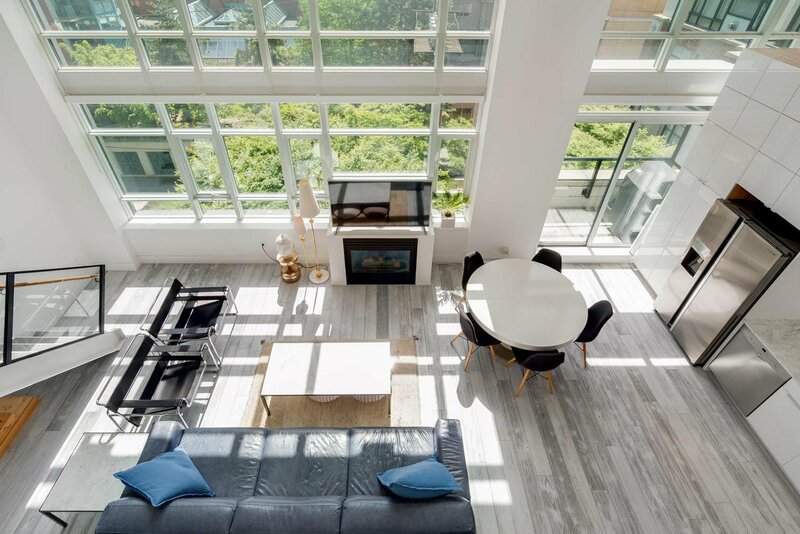 One of our previous sales was featured in the Globe and Mail Online News, click here to read the story. 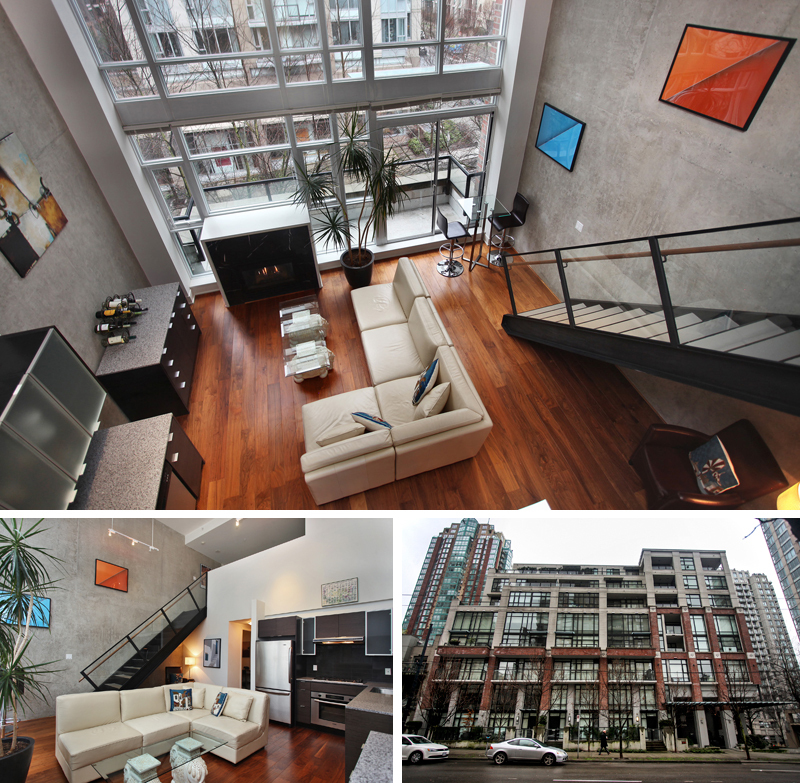 Contact Paul Albrighton for more information on selling or buying a loft at Tribeca Lofts.